Anthony Eden resigned on 21st February, 1938. Neville Chamberlain now appointed fellow appeaser, Lord Halifax, as his new foreign secretary. 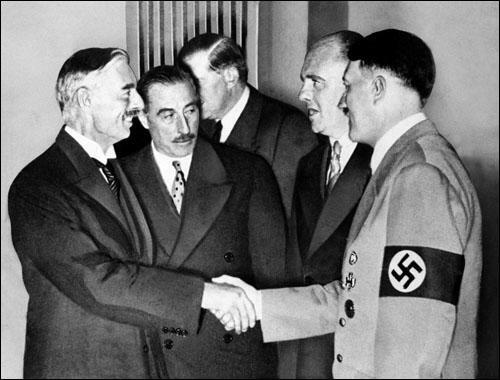 Nevile Henderson, the British ambassador in Berlin, told Chamberlain that we would lose a war with Nazi Germany. Hitler's main concern was over Czechoslovakia, a country that had been created after the allied victory in the First World War. Before the conflict it had been part of the Austrian-Hungarian empire. The population consisted of Czechs (51%), Slovaks (16%), Germans (22%), Hungarians (5%) and Rusyns (4%). Neville Chamberlain claimed that he received over 20,000 letters and telegrams of praise and numerous gifts from people at home and abroad. This included "countless fishing flies, salmon rods, Scottish tweed for suits, socks, innumerable umbrellas, pheasants and grouse, fine Rhine wines, lucky horseshoes, flowers from Hungary, 6000 assorted bulbs from grateful Dutch admirers and a cross from the Pope." When the Daily Sketch offered readers a free photograph of Chamberlain they received 90,000 applications. A group of French businessmen opened a fund to present him with a property in France, to reward him for persuading the French government to sign the Munich Agreement. A wealthy supporter of the Conservative Party donated £10,000 to Birmingham University to fund a scholarship in Chamberlain's name." (78). The debate on the Munich Agreement in the House of Commons started on 3rd October, 1938. Cooper explained why he had resigned from the government and compared the situation with the outbreak of the First World War: "I thought then (1914), and I have always felt, that in any other international crisis that should occur our first duty was to make plain exactly where we stood and what we would do. I believe that the great defect in our foreign policy during recent months and recent weeks has been that we have failed to do so. During the last four weeks we have been drifting, day by day, nearer into war with Germany, and we have never said, until the last moment, and then in most uncertain terms, that we were prepared to fight. We knew that information to the opposite effect was being poured into the ears of the head of the German State. He had been assured, reassured, and fortified in the opinion that in no case would Great Britain fight." 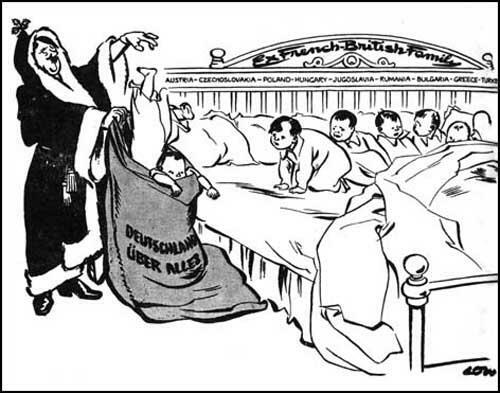 Duff Cooper then went on to criticise Chamberlain: "The Prime Minister has believed in addressing Herr Hitler through the language of sweet reasonableness. I have believed that he was more open to the language of the mailed fist. I am glad so many people think that sweet reasonableness has prevailed, but what actually did it accomplish? The Prime Minister went to Berchtesgaden with many excellent and reasonable proposals and alternatives to put before the Fuhrer, prepared to argue and negotiate, as anybody would have gone to such a meeting. He was met by an ultimatum. So far as I am aware no suggestion of an alternative was ever put forward." Winston Churchill now decided to break with the government over its appeasement policy and two days after Attlee's speech made his move. Churchill praised Chamberlain for his efforts: "If I do not begin this afternoon by paying the usual, and indeed almost invariable, tributes to the Prime Minister for his handling of this crisis, it is certainly not from any lack of personal regard. We have always, over a great many years, had very pleasant relations, and I have deeply understood from personal experiences of my own in a similar crisis the stress and strain he has had to bear; but I am sure it is much better to say exactly what we think about public affairs, and this is certainly not the time when it is worth anyone’s while to court political popularity." Churchill went on to say the negotiations had been a failure: "No one has been a more resolute and uncompromising struggler for peace than the Prime Minister. Everyone knows that. Never has there been such instance and undaunted determination to maintain and secure peace. That is quite true. Nevertheless, I am not quite clear why there was so much danger of Great Britain or France being involved in a war with Germany at this juncture if, in fact, they were ready all along to sacrifice Czechoslovakia. The terms which the Prime Minister brought back with him could easily have been agreed, I believe, through the ordinary diplomatic channels at any time during the summer. And I will say this, that I believe the Czechs, left to themselves and told they were going to get no help from the Western Powers, would have been able to make better terms than they have got after all this tremendous perturbation; they could hardly have had worse." The Conservative candidate was Quintin Hogg, the son of Cabinet minister, Douglas Hogg, 1st Viscount Hailsham. Hogg argued that Lindsay was putting forward a negative message: "The issue in this election is going to be very clear. I am standing for a definite policy. Peace by negotiation. Mr. Lindsay is standing for no definite policy that he can name. He stands for national division against national unity. His policy is a policy of two left feet walking backward!" By John Simkin (john@spartacus-educational.com) © September 1997 (updated February 2019). We're living through indescribably tense days. The question is: Will there be war? The mobilization going on in various countries doesn't fill one with a great deal of confidence. No recent news concerning the discussions of Hitler and Chamberlain. The entire world is united in fearful suspense, for one, feel a numbing indifference because of all this waiting. The situation changes from minute to minute. Even the idea there may be war is abominable enough. The Cabinet met that evening. The Prime Minister looked none the worse for his experiences. He spoke for over an hour. He told us that Hitler had adopted a certain position from the start and had refused to budge an inch from it. Many of the most important points seemed hardly to have arisen during their discussion, notably the international guarantee. Having said that he had informed Hitler that he was creating an impossible situation, having admitted that he had "snorted" with indignation when he read the German terms, the Prime Minister concluded, to my astonishment, by saying that he considered that we should accept those terms and that we should advise the Czechs to do so. It was then suggested that the Cabinet should adjourn, in order to give members time to read the terms and sleep on them, and that we should meet again the following morning. I protested against this. I said that from what the Prime Minister had told us it appeared to me that the Germans were still convinced that under no circumstances would we fight, that there still existed one method, and one method only, of persuading them to the contrary, and that was by instantly declaring full mobilisation. I said that I was sure popular opinion would eventually compel us to go to the assistance of the Czechs; that hitherto we had been faced with the unpleasant alternatives of peace with dishonour or war. I now saw a third possibility, namely war with dishonour, by which I meant being kicked into the war by the boot of public opinion when those for whom we were fighting had already been defeated. I pointed out that the Chiefs of Staff had reported on the previous day that immediate mobilisation was of urgent and vital importance, and I suggested that we might one day have to explain why we had disregarded their advice. This angered the Prime Minister. He said that I had omitted to say that this advice was given only on the assumption that there was a danger of war with Germany within the next few days. I said I thought it would be difficult to deny that such a danger existed. Be glad in your hearts. Give thanks to your God. People of Britain, your children are safe. Your husbands and your sons will not march to war Peace is a victory for all mankind. If we must have a victor, let us choose Chamberlain. For the Prime Minister's conquests are mighty and enduring - millions of happy homes and hearts relieved of their burden. To him the laurels. And now let us go back to our own affairs. We have had enough of those menaces, conjured up from the Continent to confuse us. No stranger experience can have happened to Mr. Chamberlain during the past month of adventures than his reception back home in London. He drove from Heston to Buckingham Palace, where the crowd clamoured for him, and within five minutes of his arrival he was standing on the balcony of the Palace with the King and Queen and Mrs. Chamberlain. The cries were all for "Neville," and he stood there blinking in the light of a powerful arc-lamp and waving his hand and smiling. For three minutes this demonstration lasted. Another welcome awaited the Premier in Downing Street, which he reached fifteen minutes later. With difficulty his car moved forward from Whitehall to No. 10. Mounted policemen rode fore and aft and a constable kept guard on the running board of the car. Every window on the three floors of No. 10 and No. 11 was open and filled with faces. The windows of the Foreign Office across the way were equally full - all except one, which was made up with sandbags. Everywhere were people cheering. One of the women there found no other words to express her feelings but these, "The man who gave me back my son." Mr. and Mrs. Chamberlain stood for a few moments on the doorstep acknowledging the greeting. Then Mr. Chamberlain went to a first-floor window and leaned forward happily smiling on the people. "My good friends," he said - it took some time to still the clamour so that he might be heard - "this is the second time in our history that there has come back from Germany 'peace with honour.' I believe it is peace for our time." No one in this country who examines carefully the terms under which Hitler's troops begin their march into Czechoslovakia to-day can feel other than unhappy. 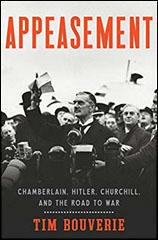 Certainly the Czechs will hardly appreciate Mr. Chamberlain's phrase that it is "peace with honour." If Germany's aim were the economic and financial destruction of Czechoslovakia the Munich agreement goes far to satisfy her. But, it may be urged, while the Czechs may suffer economically, they have the political protection of an international guarantee. What is it worth? Will Britain and France (and Russia, though, of course, Russia was not even mentioned at Munich) come to the aid of an unarmed Czechoslovakia when they would not help her in her strength? 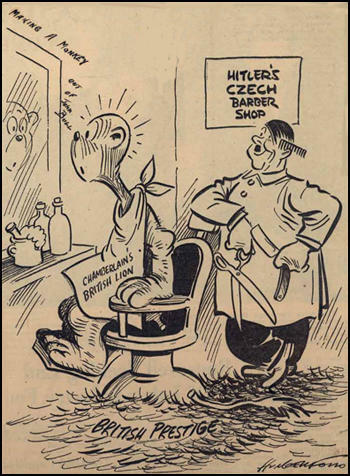 Politically Czechoslovakia is rendered helpless, with all that that means to the balance of forces in Eastern Europe, and Hitler will be able to advance again, when he chooses, with greatly increased power. The terms of the Munich Agreement turned out to be even worse than we had supposed. They amounted to unconditional surrender. Even Göring was shocked. He said afterwards that when he heard Hitler tell the conference at Munich (if such it could be called) that he proposed to occupy the Sudeten lands, including the Czech fortifications at once, 'we all knew what that meant'. But neither Chamberlain nor Daladier made a cheep of protest. Hitler did not even have to send an ultimatum to Czechoslovakia. Chamberlain did that for him. Ashton-Gwatkin of the Foreign Office brought it from Munich to Prague for presentation to the Czech Government. He had breakfast with our Military Attaché, Brigadier Humphrey Stronge, before he showed it to the British Minister, Basil Newton. Stronge said that Czechoslovakia could never accept such terms, as they involved, amongst other things, surrendering all the fortifications, and thereby rendering her defenceless. Ashton-Gwatkin said that they had got to accept, and that there was no alternative. Stronge, in his own words, was 'staggered'; and wondered what the outcome could possibly be. Later that day, after a heated argument with some of his generals and politicians, Benes capitulated. We all feel relief that war has not come this time. Every one of us has been passing through days of anxiety; we cannot, however, feel that peace has been established, but that we have nothing but an armistice in a state of war. We have been unable to go in for care-free rejoicing. We have felt that we are in the midst of a tragedy. We have felt humiliation. This has not been a victory for reason and humanity. It has been a victory for brute force. At every stage of the proceedings there have been time limits laid down by the owner and ruler of armed force. The terms have not been terms negotiated; they have been terms laid down as ultimata. We have seen to day a gallant, civilised and democratic people betrayed and handed over to a ruthless despotism. We have seen something more. We have seen the cause of democracy, which is, in our view, the cause of civilisation and humanity, receive a terrible defeat. ... The events of these last few days constitute one of the greatest diplomatic defeats that this country and France have ever sustained. There can be no doubt that it is a tremendous victory for Herr Hitler. Without firing a shot, by the mere display of military force, he has achieved a dominating position in Europe which Germany failed to win after four years of war. He has overturned the balance of power in Europe. He has destroyed the last fortress of democracy in Eastern Europe which stood in the way of his ambition. He has opened his way to the food, the oil and the resources which he requires in order to consolidate his military power, and he has successfully defeated and reduced to impotence the forces that might have stood against the rule of violence. (10) In his memoirs Lord Halifax attempted to justify his appeasement policy that culminated in the signing of the Munich Agreement in September, 1938. The criticism excited by Munich never caused me the least surprise. I should very possibly indeed have been among the critics myself, if I had not happened to be in a position of responsibility. But there were two or three considerations to which those same critics ought to have regard. One was that in criticizing the settlement of Munich, they were criticizing the wrong thing and the the wrong date. They ought to have criticized the failure of successive Governments, and of all parties, to foresee the necessity of rearming in the light of what was going on in Germany; and the right date on which criticism ought to have fastened was 1936, which had seen the German reoccupation of the Rhineland in defiance of treaty provisions. I have little doubt that if we had then told Hitler bluntly to go back, his power for future and larger mischief would have been broken. But, leaving entirely aside the French, there was no section of British public opinion that would not have been directly opposed to such action in 1936. To go to war with Germany for walking into their own backyard, which was how the British people saw it, at a time moreover when you were actually discussing with them the dates and conditions of their right to resume occupation, was not the sort of thing people could understand. So that moment which, I would guess, offered the last effective chance of securing peace without war, went by. 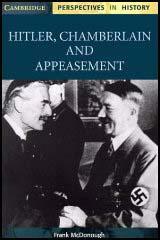 For Hitler, Munich was a moment of supreme triumph, for Britain one of shame and disaster. Yet it was also to prove Hitler's undoing and the making of Britain. Munich had not given Hitler everything he wanted, but it put him, almost unbelievably, within striking distance of his ultimate goal. Had he been content to continue as he had started, with the same caution and astute sense of timing, quietly waiting until French and British vigilance dissipated, as it surely would without further provocation, it is highly probable that he would have succeeded. Prague he could easily have afforded to leave alone now that he had neutralised Czechoslovakia; a sudden swoop on Danzig and there would then remain only Russia who would have had to fight a hopeless single-handed war. 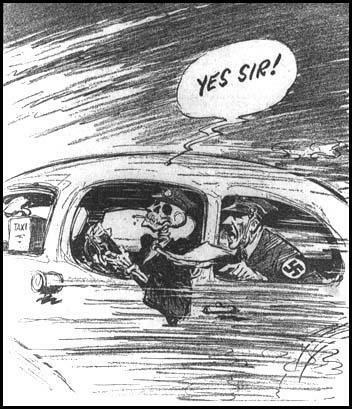 But the triumph of Munich proved too much for Hitler and the temptation to march victoriously into Prague too great, with the result that he abandoned the caution that had served him so well and fatally changed what had hitherto been a winning game. First he aggravated rather than allayed Britain's and France's fears by telling them that the agreement had not given him what he wanted and by rearming yet faster still. Then on 12 March he sent his armies into Prague and followed them three days later. Ensconced in Hradschin Castle, the highest point of the city, and looking triumphantly over the lands he had coveted for so long, he thought that his dream of an Eastern Empire that would last a thousand years had virtually been fulfilled. But within a fortnight the picture was to alter completely. On the last day of March, Chamberlain, though subjected to many conflicting pressures, suddenly decided to offer Poland an unconditional guarantee of military support should her territory be invaded. By any standard it was a courageous, indeed a historic, act, one which has not received the credit that it deserves. On Hitler the effect was instantaneous and dramatic. After a few moments of utter disbelief, he banged on the table in a blind fury and shouted out: "I'll cook them a stew on which they'll choke."